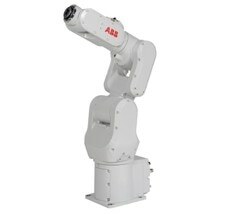 ABB Robotics is a pioneer in industrial and collaborative robots and advanced digital services. As one of the world’s leading robotics suppliers, we are active in 53 countries and over 100 locations and have shipped over 400,000 robot solutions in a diverse range of industries and applications. We help our customers to improve flexibility, efficiency, safety and reliability, while moving towards the connected and collaborative factory of the future.